"A certain brother went to Abba Moses in Scete, and asked him for a good word. And the elder said to him: Go, sit in your cell, and your cell will teach you everything." The fruits of prayer described by Paul the Apostle are: love, joy, peace, patience, generosity, faithfulness, kindness, gentleness, self-control, and purity. (Galatians 5:22-23). The Cloud of Unknowing | The Cloud of Unknowing | Belongs to the ancient tradition of contemplative prayer. Independent of words, and so defying definition, such prayer may be compared to the shared, silent gaze of loving, trustful people. Such prayer, beyond words or concepts, is founded on bedrock Christian beliefs: the indwelling of the Trinity, and the union of souls with and in Christ. 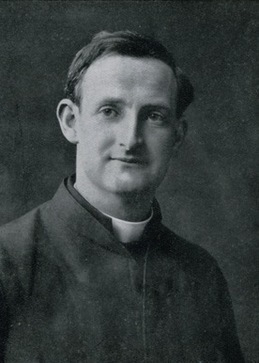 The Saints Understand One Another - Father Willie Doyle and Mother Mectilde de Bar belonged to different religious Orders, different cultures, and different moments in history. Their experience of prayer, nonetheless, engages them in a conversation that transcends all else. Not Trying to Do Anything, Except Love Him: As regards prayer, you should try to follow the attraction of the Holy Spirit, for all souls are not led by the same path. 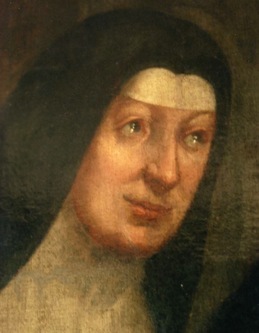 It would not be well to spend all the time in vocal prayer, there should be some meditation, thought or contemplation. Try "basking in the sun of God's love," that is, quietly kneeling before the Tabernacle, as you would sit enjoying the warm sunshine, not trying to do anything, except love Him; but realizing that, during all the time you are at His feet, more especially when dry and cold, grace is dropping down upon your soul and you are growing fast in holiness. Father Willie Doyle, S.J. Casting prayer is essential at all times but becomes critical eventually in the further steps of the path to Quies. â€œCasting all your care upon him for he cares for you.â€� 1 Peter 5:7; is when we go before the Lord and literally surrender, cast, completely the present moment most troubling nagging â€œissueâ€� or "thought" whatever it is, which robs our present consciousness, our peace, at this present moment, from our presence and love to God Only. A prayer fight ensues on this particular issue that can last a while but we must persevere to the end with the help of God's grace, and then that thought will be pacified by God, and replaced in our consciousness or soul, with another different nagging â€œissueâ€� or "thought" which was hidden by the first conquered thought; which robs at another deeper level our present full consciousness, our peace, at this present moment, from our presence to God Only; holding its ground against our perfect repose in abandonment and Quies, it was hidden behind the previous thought we had victoriously cast, with the help of God, completely into the care of God; like an army that wants to prevent us from being with our God only, we must concentrate in casting irreducibly the present moment most troubling nagging â€œissueâ€� or "thought" whatever it is, which robs our present consciousness, our peace, at this present moment, from our presence to eventually God Only, until after fighting innumerable castings combats, there are no more troubling nagging â€œissueâ€� or "thought" whatever it is, which robs our present consciousness, our peace, at this present moment, from our presence to God Only. All this combat is done in Christ who fights and conquers for us, with us, to make us live in His peace that the world knows not. Whether it is for example a financial hardship, a broken relationship, a workplace crisis or any spiritual stronghold, lets make a point to systematically intentionally irreducibly cast it over into God. Casting our cares incessantly and systematically we could call this: casting (worries/thoughts) prayer. Casting prayer clears the path to our continual full presence to God Only, and thus to constant contemplative prayer; unhindered defended supremacy of God's Will and Life in our soul, whereby through a "serene gaze the Spouse is wounded with love; that eye, pure and clean, by which God is seen" (Carthusian Statutes Chapter 6), and truly followed. Of course, one will experience that the Quies SBPCLC 5 steps commitment to the 11 guidelines : step 1 Sacramental confession, and then step 2 The Eucharist and communion, offer us the extraordinary essential support to progress in this spiritual work of conversion of casting all our cares, worries, and anxieties on God because he cares for us. Metanoia for a disciple of Saint Bruno, is wholly Christocentric and Ecclesial. Adrienne Von Speyr Confession (google Books) - Hans Urs von Balthasar calls this "one of her most central works". She discusses the moral and practical aspects of the sacrament in great depth. Some of the many areas covered include conversion, scruples, contrition, spiritual direction, laxity, frequency of confession, the confessions of religious and lay people, even the confessions of saints. One of the most complete spiritual treatises ever written on confession. 5. Interior solitude (Quies): "It is a spiritual process through which memory, intellect and will progressively die to every interest and complacence for things. God begins, instead, to be felt as the only one who can satisfy the deep realms of the spirit. 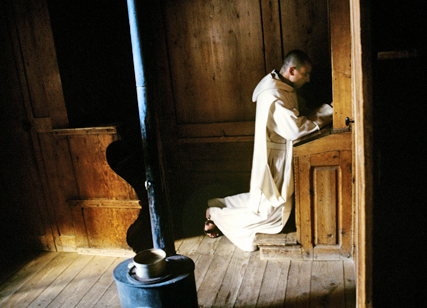 It is only when the Carthusian discovers, bathed in admiration, that only God satisfies him that he begins to really be a true contemplative. Feeling that only God can satisfy him produces such a feeling of interior freedom and joy that it is difficult to express it in words."